It was revealed to Armin when they were cornered by the military how much his friends depended on his knowledge to get out of the situations they were in. For the end of the series he came up with a master plan that helped them immensely but I don want to give spoilers to those who have yet to watch or want to watch the series or read the manga. But as we see Armin succeed with knowledge the bible tells us that is as well.In Proverbs 24:5, scriptures says that a wise man is full of strength, and a man of knowledge enhances his strength. In other words knowledge is power. You can scream at the top of your lungs what you will do but you have to know how to do it. Knowledge is what made Solomon a great leader in his day. Knowledge is what brought all of our modern conveniences that we use today and beyond. Knowledge is what also brought mass destruction with creations such as the atom bomb. We must at all times gain knowledge so that we may know how to properly attack the titans in our lives. Some times, having knowledge isn’t knowing everything you need to know to get through the situation you are in but it could mean to know when and who to go to get the information. 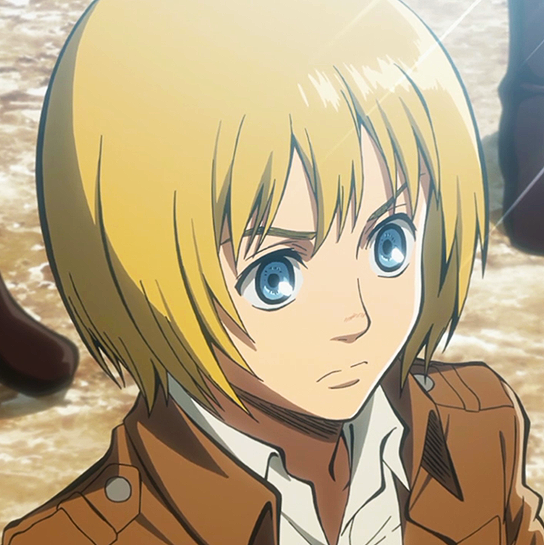 But there was something special that I mentioned earlier about Armin. Something that is important for all of us as well if we are going to defeat the titans in our lives. We must develop a vision. When Armin read the books with his grandfather it made him wiser but it also gave him more breadth and width to what he need to know. We spoke about it before but let’s revisit Proverbs 29:18. We die when our vision is narrow. Many times when we have a problem we focus on just our problem. We wander around in our lives sad, confused, terrified, and incensed because we are in the clutches of a titan and we are about to get devoured whole. But we don’t see the whole picture. You miss out on God holding out his hand to pull you out of the titan’s grip. You miss out on a scripture that told you exactly what you needed to know. You miss out on going to the doctor where he could tell you of a treatment that could save your life. You can’t focus on the pain and the strife but on the hope that He have given us to fight the titans. Next time we will see how Mikasa Ackerman attacks the titans. I hope that this series blesses you as it is blessing me. Heavenly Father, I thank you that you have shown us that even though we say with affirmation what we want from our lives but we must gain knowledge on how to get through the problems in our lives as well. I am thankful that you made us aware that you would bring people into our lives that will help us as well. I pray Heavenly Father, that you bless us with a vision so that we do not focus on the problems that consumes us but the way out and the goal that you want for our lives. In Jesus name, Amen.